Mysticism is a mystical union is found throughout the world's religions and cultures. It's a philosophical approach to connecting with God, or, depending on the religion or culture, connecting with whatever the concept is of the creator of the universe. Many who practice mysticism and walk a mystic's path aren't just trying to form a connection, but also to be absorbed into the greater divine. Mysticism is a simple concept in which one seeks a deeper connection with God or whatever his or her concept of the Divine is through spiritual ritual such as meditation and prayer. A mystic is one who is seeking such a connection using spiritual or religious ritual to do so. The concept a person can achieve a connection with God, the energy of all creation, through meditation, interaction, and other forms of spiritual advancement is prevalent in many spiritual belief systems and religious traditions. The mystic's journey is made up of a series of challenges and obstacles that must be overcome for advancement to the next level of understanding. Once this union is achieved, the individual reaps the reward of a deep and profound spiritual communion. The mystic then shares in the special mysterious knowledge that only God possesses. In some cultures, God is viewed more as a collective consciousness or a higher intelligence. New Advent quotes the Catholic Encyclopedia definition of mysticism as a desire for an "intimate union with the Divinity." In this definition, mysticism is considered to be philosophical. However, Catholic World Reports adds that while saints were mystics, Christian mysticism isn't reserved just for those who achieve sainthood. In this context, the need and desire to relate to God on a personal level resonates in the deepest parts of the human soul. This desire is so intense that it becomes a transcendent way of getting to know and love God. For a Christian, it's this communion with God that defines life as a believer in Christ. Christians achieve this connection through various religious practices that affirm their devotion to God. 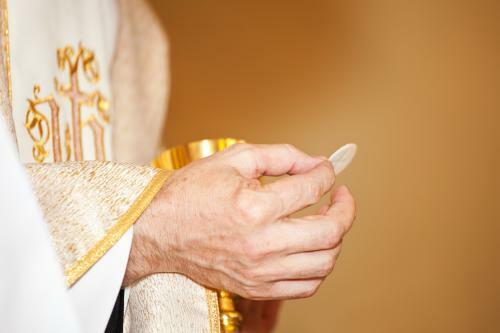 The churches of various denominations have their own sets of rituals, but Communion of wine and bread as depicted in the New Testament of the Bible is one common ritual. While religion is the framework for Christians to obtain a union with God, individual spirituality must be nurtured to achieve the transcending necessary to "know" God. According to Catholic Culture, to know God one must achieve more than a state of being. One must cross over into a supernatural state that is initiated by the soul. This is a mystical, undefinable process and through it, a person is allowed to know God. It isn't something controlled by the individual; it's literally beyond human capability to create, yet it can be experienced. Christian mysticism differs from other religious mysticisms since this union of the person's soul and God is pure and moral. It's such a powerful connection that the person submits to the will of God, relinquishing individual will. There were many gods and rituals in ancient Egypt, mainly to invoke the help of specific gods. Rituals were conducted in sacred spaces to invoke the gods by asking them to manifest in this reality. Much of the Egyptian mysticism that remains today is based on interpretations of ancient rituals and ceremonies, many of which followed strict patterns. For example, there were four deities called the Neteru that governed and protected the four directions of north, south, east and west. Temple priests conducted daily invocation rites to the Neteru statues requesting their presence and interaction. Temples and other areas were decreed as sacred spaces only used for specific invocations of specific gods. This interaction between the Egyptians and their gods developed into tenets and rites. The goal was to serve the gods and the pharaohs, who were considered to be gods. On this path, the Egyptians sought to connect with their gods both on earth and elsewhere. Their beliefs were based in the assumption that all energy came from the center of the earth and that all matter was striving to reach that space. A common belief was that living a good life would see the individual into the Afterlife, which was the ultimate goal for mystics of this time period. Mysticism in Judaism is for the most part a matter of individual interpretation. Classic Judaism is interwoven with mysticism using many passages from the Kabbalah, while Orthodox Judaism isn't. 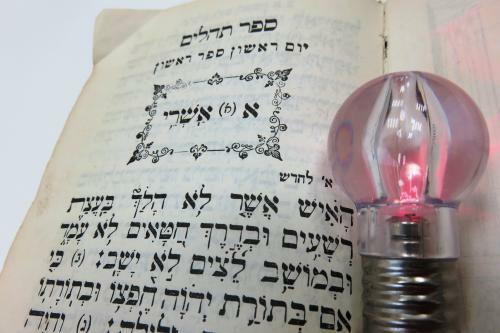 The Torah recalls mystical stories that are filled with angelic visits, prophetic visions, and dreams. Jewish tradition states that all the souls of the Jews were created at one time. The Talmud examines the soul's existence and the timing when the soul actually attaches itself to the body. Other stories contained in the Torah include levels of existence that are very similar to Christian heaven and purgatory. Some stories also recount the plight of wandering souls and the souls' reincarnation cycles. These stories reflect how mystics interpreted their connection with the divine. Historically, a "mystical school of thought" was a secret knowledge. Only students who were advanced in their studies were allowed to be taught this secret knowledge. In fact, it was so secretive that there were not any written teachings. These oral teachings weren't given written form until the middle ages when they were set down in the book Zohar. These teachings became known as the Kabbalah. In the Kabbalah, God is defined as a transcendent being that has no boundaries. God in his extreme transcendent form is unable to have any type of direct interaction with anything within the universe. Instead, connection is sought through the ten emanations known as the Ten Sefirot. It's through the Ten Sefirot that God is able to reveal himself to mankind, and how Jewish mystics believed they could create a stronger union with God. Eastern philosophies of mysticism revolve around separating the physical self from earthly desires. 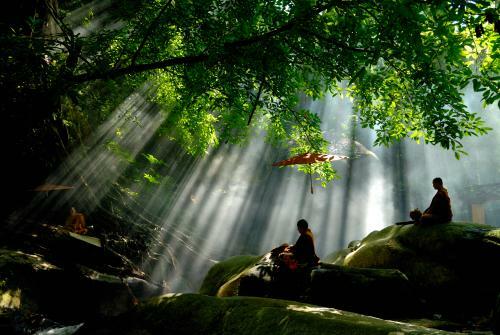 The practice of meditation is seen in various forms such as yoga, qigong, and even in various martial arts. All of these are designed to help the mind and body work as one with the soul as an overseer. When all three work together, the ability to connect with the eternal divine is easier to achieve. Taoism (also known as Daoism), Buddhism, and Hinduism are just a few of the Eastern philosophies that have mystical aspects. They focus on what's known as wisdom obtained intuitively. These three philosophies understand that rational thinking is limited and they have the same goal - to liberate the mind from conventional rules to contemplate and explore beyond earthly limitations. In Buddhism, the ultimate goal of the soul's journey is to achieve nirvana, the highest transcendental state. Buddha said that "Nirvana is the ultimate happiness." The teachings of the great Greek philosopher Plato discuss the mystical journey of the soul through a process of successive steps that also have various degrees. Each step and each degree bring the soul closer to the goal of reuniting with God. It's through a freeing of self that the person is no longer tied and controlled by the sensuous world. This freeing of self is known as katharsis. These steps are found in Plato's theory about the world and the ideas that surround the creation of a world soul. Perhaps the most concise system created to understand the mystical part of the human experience was the philosophical system of the Neoplatonic School of Alexandria. Most importantly, Plotinus' (A.D. 205-70) Enneads seemed to convey this system or process best. In this system, the One is absolute in all things good. The One is responsible for creating intelligence through the ideas it has and becoming part of the world soul. The human soul, although individual, had been part of the world soul until it became a part of matter (human life). This belief claimed that at the end of a human life, a soul would then return to God and become part of the world soul once more. This was the cycle of the soul and its evolution. Dr. Jean Houston writes in the Huffington Post, "Mysticism is a particularly focused part of spirituality; the mystic is a person who aims at and believes in the attainment of such union (with reality)." Dr. Houston references the heroic journey to attain this type of enlightenment through challenges and brave efforts to keep on the soul's path. Since the mystic's path is seen as an awakening, it's implied that in the everyday state, the individual is asleep and has forgotten his roots in the spiritual world. It takes effort and determination to reconnect with the divine. This journey evolves into a higher spirituality by regaining the soul so a union with God is attainable. Dr. Houston references the work of 20th century author Evelyn Underhill, specifically her book Practical Mysticism. Awakening: The person sees the world as though for the first time. Purification: This process requires the seeker to delve inside to find truth and create beauty. Illumination: The person is illuminated with knowledge of God and filled with that light. Voices and Visions: The seeker literally sees and hears beings in other realms or dimensions, such as angels, guides and beings. Contemplation and Introversion: This is a period of silence and observance through meditation and prayer. 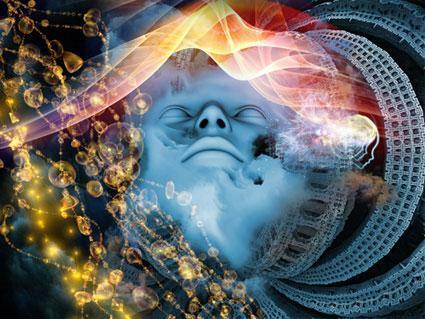 Ecstasy and Rapture: Through purging, learning and growth, the person is able to receive the happiness of the Divine. The Dark Night of the Soul: This is the falling from the great heights achieved. God seems to have abandoned the person. Union with the One Reality: The duality of being oneself and of God. It's the yin and yang of the soul. With the closing of distances between cultures in today's technological world, more and more people are in search of the mystical. Perhaps it's possible to take something from ancient teachings and blend it with more contemporary understandings like that of Evelyn Underhill for a truly personal form of mysticism.